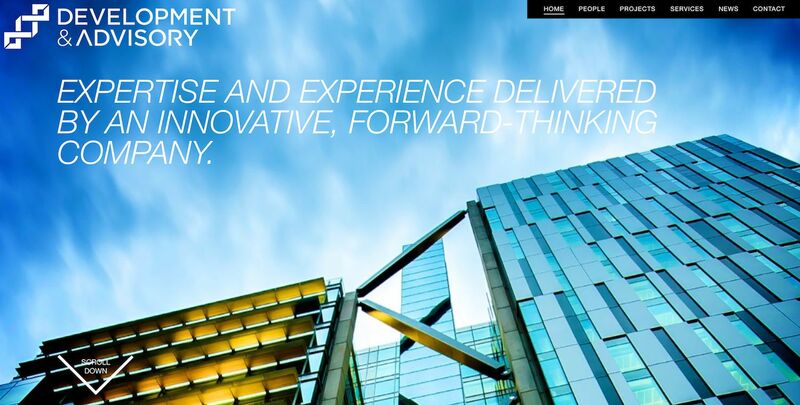 Development and Advisory, a Specialist Property Services firm based in Adelaide, South Australia, required a website to launch their new brand to the world. 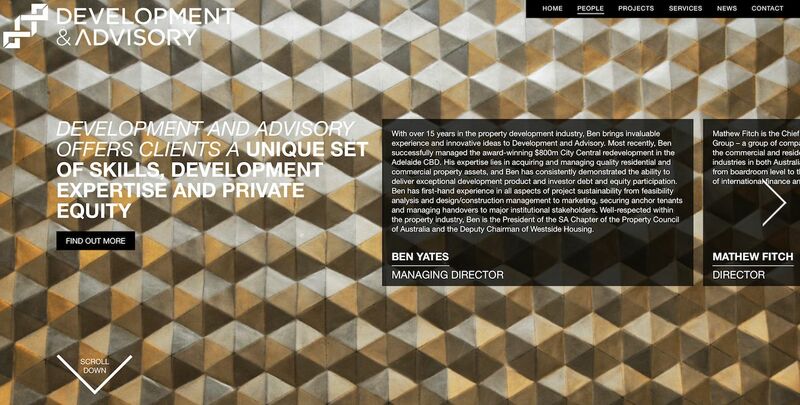 The brief involved building a one-page parallax scrolling site to showcase the extensive project imagery that the company had to offer. The brand was described as being both a trustworthy, high-end brand, and while it had old-fashioned business values, these were delivered by a forward-thinking, thoroughly modern company. 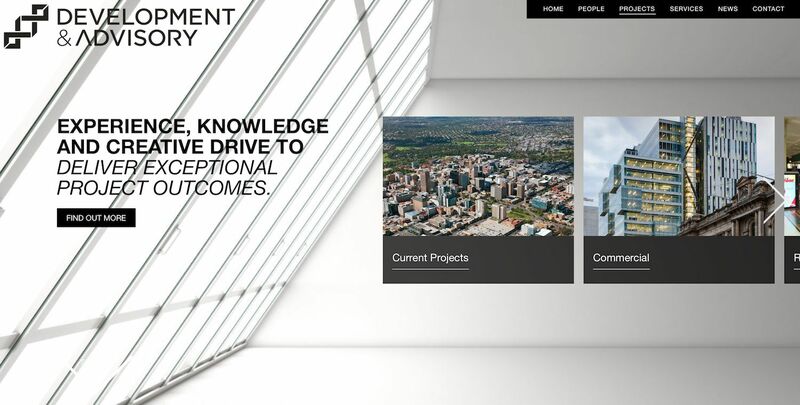 The initial design of this site was again completed by a third-party designer, however this was then taken and adapted for implementation as a responsive site. While each section of the site required a parallax effect to give the viewer the feeling that the background imagery was moving slower than the body content, within each major section content was required to spill off the page to ensure the site didn’t feel linear as a result. This was achieved by using a touch-compatible content slider, and each section features a draggable set of content that extends beyond the page. Beyond the single-page nature of the site, each section of project images was broken into separate pages to ensure that each could be better targeted using SEO principles, and to enable Development and Advisory to be able to link to specific project categories and projects. 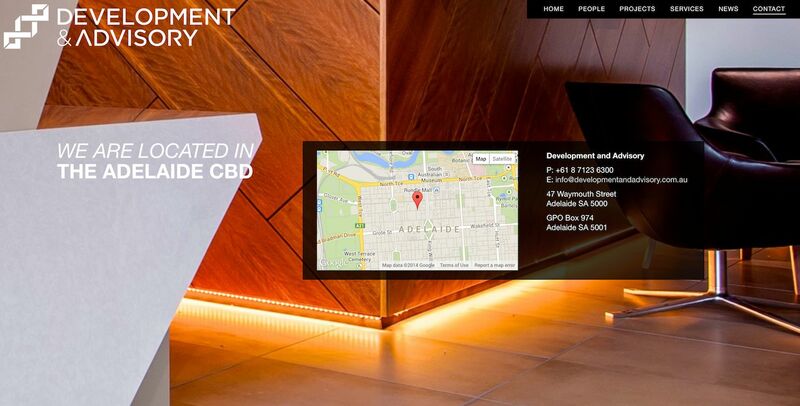 Built on the WordPress platform, Development and Advisory are now able to keep their site updated without requiring a web developer, and the new site has provided multiple ways to showcase and present their work to existing and new clients across the globe.